Need to work on the go in London? 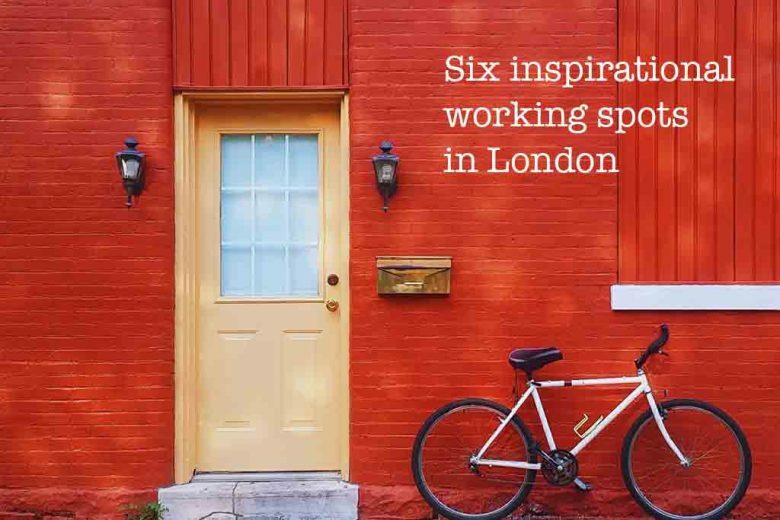 Discover six inspirational remote working spots in the capital. In case you missed it, Monday was World Productivity Day. We hope it was suitably productive for you! And to help ensure you can work whenever you need to when you’re out and about in London, we’re sharing some of the best alternatives to the usual freelancer haunts in the heart of the capital to get you inspired. New scientific research suggests that working in a public environment such as a cafe can help increase productivity. Here are six inspirational places you can work in London. With locations in both Seven Dials and Soho, Timberyard is a bright, modern workspace and café that’s become a trendy hub for freelancers to park their laptops and devour a muffin. Both hotspots contain meeting spaces which are perfect for a private chat, and having access to a projector means that Timberyard is just the solution for those client presentations. Located on Bonhill Street close to Old Street station, the Google Campus is possibly the coolest place for a freelance to get their work done. Once you have signed up for free membership, you will have access to the chic Campus Café, which has a stripped-back, urban look. Entrepreneurs and freelancers alike commonly gather here for networking opportunities, so don’t be surprised if you come away with a business card or two. If academic sophistication is what you’re looking for in a working space, then the British Library is a treat. With free wi-fi, sockets and a serene atmosphere, the nation’s greatest library is the perfect place for getting your head down and doing some solid work. The premiere performing arts centre on Silk Street is not only a fantastic place to catch a classical performance, but a wonderful temporary office. Within the Barbican Centre’s brutalist exterior is plenty of open commons space and a fantastic café, so while you work you can keep yourself fed on sandwiches, coffee and maybe a tasty treat too. 5) Look Mum No Hands! A place that bills itself as a café/ bar/ bicycle workshop is one of the most unique places to work remotely in London. Upon entering Look Mum No Hands! in Old Street, you’re treated to a window full of bicycles and walls decked out in cycling memorabilia. The café opens at 7.30am and closes at 10.30pm, so freelancers can hit the ground running and get some networking done in the evening when the bar comes into full swing. Creatives will love this Shoreditch studio for its open, laid-back atmosphere and obsession with all things music. The light and breezy rooms are a great relaxation aid if you’re up against the wire and the café will keep you topped up with those all-important beverages. Once you’re done working, Sonos Studio regularly holds performances and exhibitions – a perfect cooldown after a hard day’s work. For more great inspirational places to work, Staples has put together an interactive map – an indispensable tool for any London-based freelancer who wants more than your run-of-the-mill coffee shop.